MACP scheme for Group B, C & D employees of IITs. 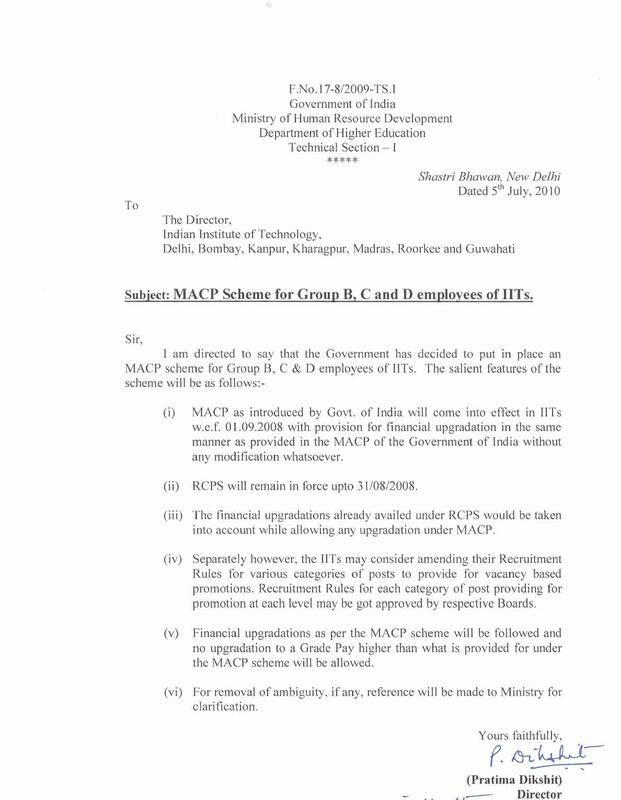 Subject: MACP Scheme for Group B, C and D employees of IITs. 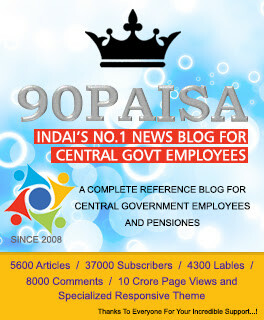 (i) MACP as introduced by Govt. of India will come into effect in IITs w.e.f. 01.09.2008 with provision for financial upgradation in the same manner as provided in the MACP of the Government of India without any modification whatsoever. (ii) RCPS will remain in force upto 3 1/08/2008. (iii) The financial upgradations already availed under RCPS would be taken into account while allowing any upgradation under MACP. (iv) Separately however, the IITs may consider amending their Recruitment Rules for various categories of posts to provide for vacancy based promotions. Recruitment Rules for each category of post providing for promotion at each level may be got approved by respective Boards. (v) Financial upgradations as per the MACP scheme will be followed and no upgradation to a Grade Pay higher than what is provided for under the MACP scheme will be allowed. (vi) For removal of ambiguity, if any, reference will be made to Ministry for clarification.